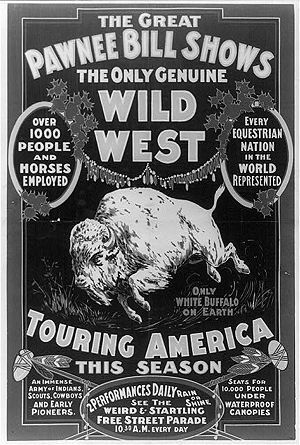 In 1972 the voters of Lexington voted to merge with Walnut Hill Farm, Spindletop Hall and Coldstream Farm to combine the first horse-related theme park city in the greater quadstate region of the southeastern Red States, known as Horseyland. In 1776, on a wednesday, several hunters were camping on the banks of Elkhorn Creek when they heard the shot heard 'round the world, fired in Lexington, Mass. While the Lexington Mass was usually held on Sundays, lost in history is why it took three days for the hunters to hear the shot. One theory supports the ricochet theory, that the shot took a while to reach this woodland outpost. They named their camp Lexington and so it was good. In honor of the renaming of this campsite, they fired up a still and made some of the area's first keg of white lightening. The camp's former name, site 42, was almost lost in history, but was discovered by Kentucky Historian Lauriate, Leonard Nimoy for his special on the History channel. 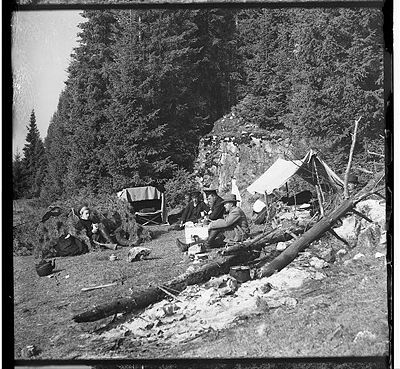 Camping were, William McConnell, Jedidiah Lincoln, Toddidias Todd, Federico Frankfort, Philip Louieville and Uncle Remus. These men were all lovers of the drink, and horses. After a few snorts, they started talking about the future. Amongst the tales of containerized water, indoor plumbing, marital relations in a private room and six wheeled super wagons, was the simple dream of a horse city. It would be a city where horses and man could live together in peace, with no barriers whatsoever. This dream would be realized decades later in 1972. 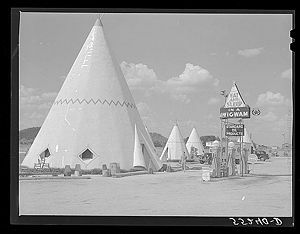 Early Lexington, was the 1960s Dodge City of its day. Walking the streets with his 6 gun in hand, was the only law west of the Alleghanies. His name was Palan, Marshall Palan. Palan was instrumental in securing the safety of the territory as well as garnering huge amounts of money from the government. 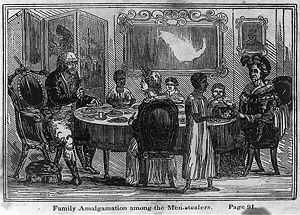 Due to the success of the Marshal Palan, Lexington soon was known as the Athens of the west, and in some circles, the Macau of the East. There were many other Marshals in Lexington, and many other Palans, but he was always referred to as THE Marshal Palan. Early in its growth period, it was noted that there was nearly no suburban sprawl. 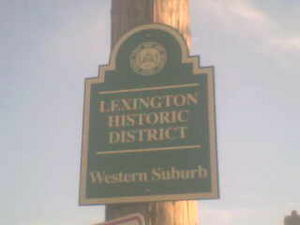 This was rectified with the new town fauburg of West Lexington. Closer to town, to commemorate the late Marshal Palan, the Historic Western Suburb was established. This district is notable for a former brothel operated by Belle Brezing. 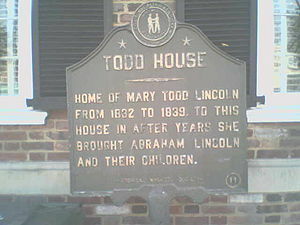 Notable crazy persons that also resided in that house included future special friend of Jefferson Davis, Mary Todd. No information exists as to whether Todd was a working girl in the house or not. In the days when typewriters were king, the buckey ball juggarnaut of the Selectric factory came to town. Interstate Biddness Monkeysheens built every single one of its popular Selectrics in Lexington. Today, this legacy lives on in the Ball Homes. These houses are encased entirely in font balls from the selectric a420. One such Ball Home, The John Bunker-Selectric house served as the prototype for all future Ball Homes. It sits not far from the Brezing Brothel in the historic "Cruise at your own risk park" district. Today however, typewriters are known only to visitors of the Selectricians Institute complex in A/C. USA Today had reports there is a town in Luddiana that still has a selectric in use at its county courthouse. These reputes are in dispute by most other major news organizations, including AMA, JDI, A1A and BW3. 2000 Census figures have Horseyland with a population of 5,342,000 people in 14 household communes. A quirk in local policy discounts the educated population, dropping the "official" number down to 260,525 people, hence less than Louisville. However, Louisville remains the smallest city in Kantuk, because of their dismally sucky basketball team led by Neo-nazi and Italian-Bostonian outcast Rick Pitino. Modern day Horseyland is divided into many thematic divisions. But it was not always so. Over the years, attractions have been closed, renovated, moved and even renamed. Second oldest of the lands, located in the historic down town area of antiquity, and recreates a turn of the millennia all Red-Statesian Town Center. The cast members that play vagrants are told to stay in character no matter what the guests say to taunt them. Troublemaking Canadians have entire websites dedicated to the antics and techniques designed to get the vagrants to break character. Oldest of the lands with actual work being done within the horse industry. Guests are allowed to mingle with the farm hands as they go about their chores. THE growth land in the park. a New County Lock-up Land The latter of which is the newest and more closely follows the theme of Horseyland, also serving as the wonderous Drunk Tank.. Located directly on the grounds of the former Walnut Hill. Dominating the landscape is the triumphant Space Ship Man O' War. A 500 foot hollow horse statue within which, guests can participate in exhibits related to the Horse digestive system. Race track themed land, located on the western edge of the park. 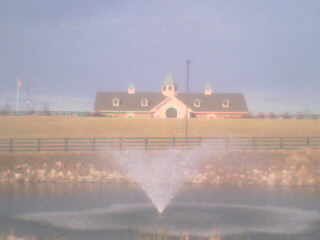 It is conveniently located near the airport so the race horses can be soothed by the rushing air sounds of the air jets. Live racing takes place twice a year except for years with a 3 in them. During years with 3s in them, racing is held three times a year. During the rest of the year the attraction serves as the world's largest carrousel where everyone is a winner. Children and Adults alike, love to go round and round to the sounds of the calliope. (formerly Nicholsville) recreates the fun family atmosphere of old Tijuana, complete with the painted zebras. One of the few places in the park where visitors can smoke, it is often packed with cast members an tourists alike from 10:00 - 10:15 am, an 3:00 - 3:15 pm. The rest may only be discussed in context. Talks continue with JI Farnsworth for access to the world's largest peanut butter plant to no avail, but plans for expanding into the neighboring counties with the creation of Horse World are already underway. Horsey land plays host to a United Nations of world leaders. The Supreme potentate of Krgystan has a home outside Keeneland where he is reportedly on the carrousel 24/7. Queen Bea of the Hinterlands buys all her xmas gifts only at the Horseyland gift shop. Madam Nu of the former Republic of Viet Nam, jets to town with her boy toys to stay at her beach house on the Horseyland Riviera. Manaskatchewan Prime Minister, Josiah Flintabattey Flonatin comes for the races both times a year. Ultra Jesus made one of his famous surprise walk-ons during the awards ceremony of the Man O'War Is The Best Horse There Ever Was Land's Silver Anniverary Jubilee. Lexington is an anarcho-syndicalist commune which elects a sort of executive officer every week. The current mayor is James "Jimbo" Newberry, a man with extremely hairy knuckles. We're not talking about the first joint where everyone's got a little hair, we mean the one right near the fingernail. It is generally believed that many voters promised to vote for Newberry in order to get him to stop shaking their hands 'cause a knuckle hair infection like that would be gross. Newberry succeeded Teresa Isaac-Lowry, a known member of the Lebanese Mafia. Current government agendas include taking over the world, buying sharks with fricken lasers on their heads, and making sure the University of Kentucky can keep up with its Top 20 research university goal. Lexington is believed by some to be the Wildcat capital of Pennsyltucky, if not the world, but others believe that the Wildcat capital of Pennsyltucky (or the world) is on the Main Line in Villanova. Still others think that the Wildcat capital of the world is in Tucson or in Manhattan (the one in Kansas, not the one in New Yawk).